Belinda is a psychologist, coach and experienced teacher with skill in supporting high-level learning and personal development. Using the Enneagram system along with thirty years’ experience in facilitating change, she helps coaches, therapists, and leadership consultants learn to embody deep level transformation though the practice of Presence. While specific tools may assist them in their work, it is their very presence that most often initiates the extraordinary shifts in consciousness — in individuals and in organizations— that create deep change. Belinda’s capacity for personal warmth, clear thinking, and global awareness contributes to her being a catalyst for transformation. With a deep understanding of developmental maturity and resilience, she moves into uncharted territory of change and guides others in manifesting creativity, accountability, and wisdom. 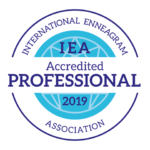 In affiliation with The Enneagram Institute, established by international Enneagram experts Don Riso and Russ Hudson, Belinda founded The Enneagram Institute of Central Ohio to train professionals in the use of the Enneagram system for facilitating personal and professional development. 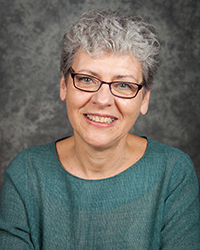 She now serves as senior faculty for The Deep Coaching Institute that trains coaches in using the Enneagram and a Presence-based model for change. As the Director of Training for The Cuyamungue Institute, a non-profit organization with international membership, she travels globally to teach instructors in The Cuyamungue Method.